When to do Intraday trade? I have experienced that people after losing the money in trade used to enter the intraday or jobbing segment. Jobbing is the other name of the intraday trade. In earlier articles I have already explained what is intraday trade?And what are the types of intraday trade? Now the most important question I need to answer is when to do intraday trade? 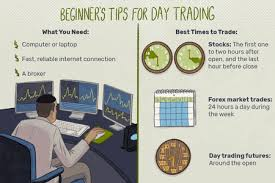 We all will agree that all days are not trading days ,why? A day in which the trend is not clearly understood is considered as a bad day for the traders. 2nd case when the extreme volatility makes the market to oscillate between the negative and positive trading band.3rd case when price oscillate between a small trading bands keeping very less opportunity for the speculators. In all these three cases it is difficult to trade and difficult to recognize that whether to do a trade or not. I have devised a truly mathematical method which will make you inform whether to do an intraday trade or not on particular day. Though the complete procedure involve in this mathematical modeling I will not revel to you because of my commercial compulsion but I will provide you few simple to use methods. A. If the gap up or gap down opening happens at 0.618% or 1.272% Fibonacci retracement levels of the previous days high low range then it is a trading day and the current trend will remain continue for the day and confidently do the day trade. B. If the flat opening followed with resistance or support at 0.382 % retracement of the previous days high or low then maximum possibility the trend will give a ‘U’ turn. In this case wait for 50% retracement level of the previous days to break to decide upon a trade. C. If the current price is above or below the 90 degree resistance or support Gann line drawn from the low or high of the previous day then it is a good day to initiate day trade in the current direction of the trend. D. If current price is above or below the 30 degree support or resistance Gann line drawn from the previous days high and low then wait for the break out above 90 degree to initiate intraday trade. E. If the technical intraday chart give the view of a pennant, rectangle then do not day trade on this day. F. If the last intraday five minuet candle length is less than 50 % as compared with the last recorded 15 minuet candle line length then don’t do the day trade till 5 minuet candle has not broken the last 15 minuet candles high or low. With the help of am excel sheet you can program this above discussed point s to inform you whether to do a day trade at this moment or not. However to initiate a trade we have given enough stuff in our books and DVD course. However for successful intraday trade practice we will always advise you to do the swing trade as per Fibonacci or Gann or Elliot principle. Same time we will advise you to plan your trade and deploy maximum 30% of your tradable capital in one stretch for intraday trade. You must negotiate with the trade expense with your broker before starting your business. For high volume intraday trade use our “Beta decoupling method “ .